Commercial metal roofing panels and materials at discounted contractor prices. We provide metal roof systems, wall panels, insulated metal panels, insulation and accessories. Residential roofing panel systems for homeowners, architects and contractors. 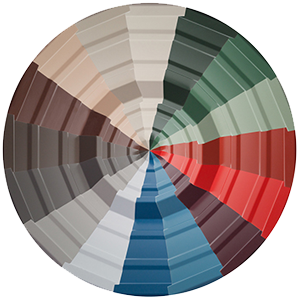 Versatile, low-maintenance, durable metal roof solutions in a wide variety of color options. Agricultural roofing panels for metal barns, riding arenas and outbuildings. High quality roofing systems and wall panels to protect livestock, farm equipment and commodities. WE CATER TO THE METAL BUILDING CONSTRUCTION INDUSTRY! 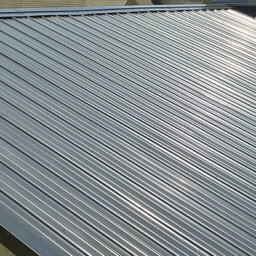 SteelRoofPanels.com is a top supplier of metal roof panels, wall panel systems, metal trim and accessories. We have worked hard to establish relationships with reliable materials suppliers and access to contractors and design professionals nationwide. Our staff of metal roofing professionals can help assist you with design, custom applications and best of all lower pricing options. With over (50) shipping points and weekly route trucks for metal roofing materials and building components, we are able to offer low cost shipping options and deliver your materials faster than most of our competitors. We recognize without our customer’s project success our existence and growth would not be possible. Whatever your goals and dreams as a building owner are we are here to build them with you. We have worked hard to establish a national presence with a reputation as a company and products you can depend on and trust. With several profile and color options www.steelroofpanels.com offers panels, trims and accessories to meet almost any project parameters. Our customers receive high quality products, attention to detail, professional support and low economically priced materials.